This entry was posted in Community, Philadelphia Sheriff's Office, Shell Properties, Tax Delinquency, Tools to Fight Blight, Vacant Land by Stephen Arrivello. Bookmark the permalink. Tax Lien sales should be fast tracked and implemented immediately! Will the tax Lien certificate come with the over burdening municipal liens such as water/sewer, gas and nuisance liens? Selling the tax certificates liens individually will not clear up the massive amounts of back taxes owed throughout the city. Investors with pick only the properties in emerging areas. The many blighted areas will remain the same. Blighted with unpaid taxes. No method is going to be perfect, so I like the idea as it will help several areas of the city. Good point. As you probably know, there are often other liens that outweigh the value of the vacant property. these properties will continue to sit vacant and blighted until they get forced to tax sale or in some cases, fraudulently conveyed. Due to the extreme amount of Over Assessment Mayor Nutter’s AVI is now putting on properties, if I were an investor I would be extremely cautious about buying any property in Philadelphia, because the Tax Liability would certainly very likely make the venture a business loss and maybe that’s why the initial owner abandoned the property and left it to be foreclosed on for delinquent taxes; because the property was OVER TAXED. AVI NOW CONTINUES THE OVER TAXING BUT TO AN EVEN GREATER LEVEL. An investor would do better to BUY IN DETROIT. A City that is Begging for Investors; and the Government, also, in Partnership with Canada is investing in the City to grow it and Change It from it’s present impoverished condition. But, unlike Philadelphia, Detroit’s government is not trying to Force long term homeowners of just regular working class income to pay enormous and unfair property taxes to Subsidize government revitalization efforts. I’m a homeowner in Philadelphia, born and raised here, but the corruptness our Mayor Nutter is evidencing with AVI has convinced me to seek elsewhere to live because, AVI is no ruthlessly corrupt I know this bad seed will just continue to sprout elsewhere in Philly with the strong support of the Mayor who has created the system. I would argue that an investor who carefully calculates all costs of a project will adjust the price accordingly. With AVI, taxes are rising in most cases, so the value of the property is reduced accordingly. The current proposal does not affect the tax abatement for new and substantially new construction, so there will likely be quite a bit of short-term market disruption as the effects of AVI ripple through the market, once it is ultimately finalized. There are still plenty of opportunities for real estate investors to prosper in Philadelphia. 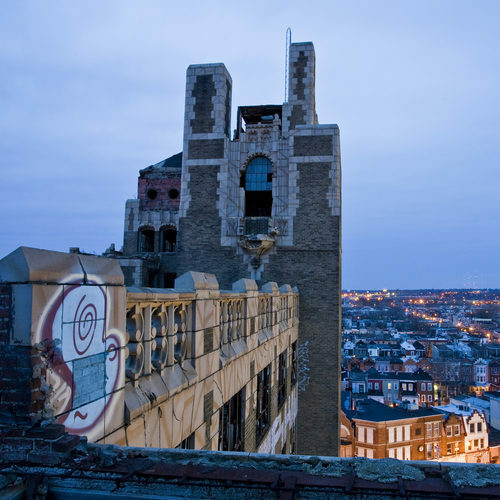 The properties identified by Abandoned Philadelphia and others in the vacant and blighted property communities are generally so many years delinquent in taxes, that there is no connection to the current AVI proposal. In fact, we have seen entire neighborhoods abandoned years and even decades ago, and the reasons for this are complex and many. In reality, the recent past shows evidence that commercial properties are the ones that have been overtaxed for years, and the current AVI seeks to shift much more of the tax back to residential properties. Also, I don’t think the AVI is trying to “revitalize” the City, just maintain the basic services it struggles to provide currently. Unfortunately, the City’s overall tax structure remains one of the most onerous in the country, with the result being a dismal job creation rate. The hard reality is that since real estate can’t leave, as employers can, it can and will be burdened with providing revenue for City services through ever escalating taxes.